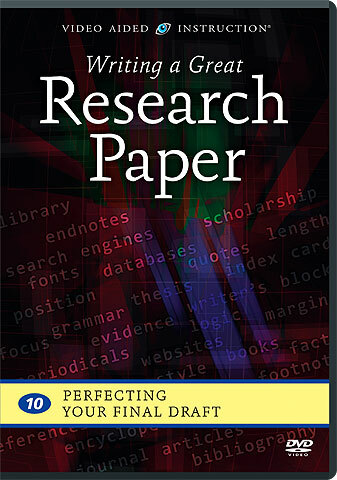 Perfecting Your Final Draft on ! 1 DVD · 1 hr. 26 mins. BRAND NEW! IN STOCK! IMMEDIATE SHIPPING! In this last program in our series, you’ll learn how to rework your research paper until it is a shining example of effective writing, clear organization, and sound research — and is completely free of errors in grammar, usage, mechanics, spelling, and scholarly citation. Best of all, you’ll hand in a final draft that makes you sound smarter and better informed and is sure to earn you a higher grade!